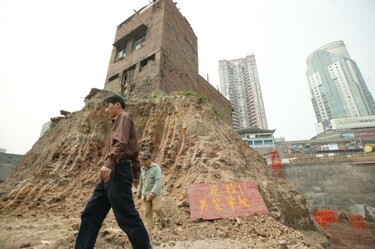 Remember the Chinese homeowner Luo Baogen and his wife, who refused to move his house to make way for a redevelopment project? 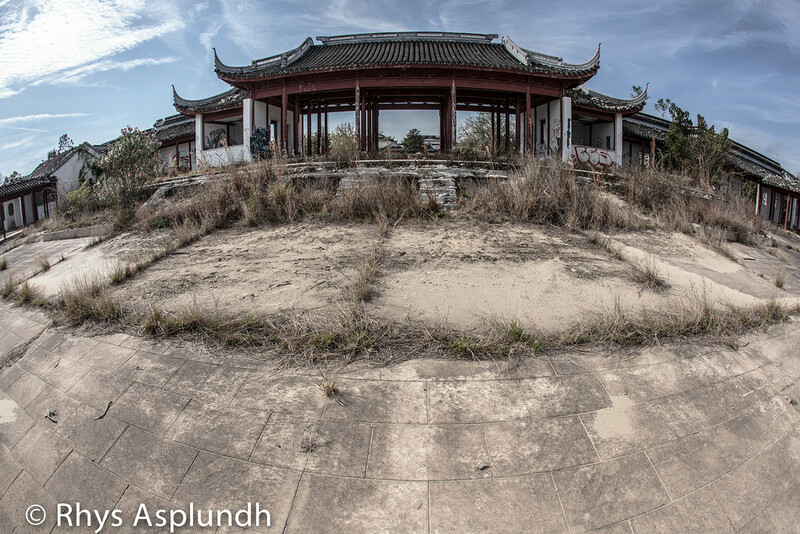 The house stands no longer. 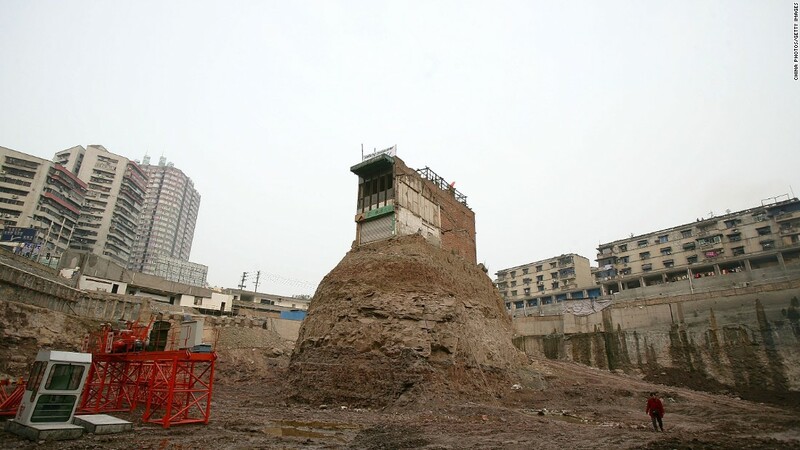 The five-story home, which had stood alone in the middle of a road for more than a year, was demolished on December 1, Saturday morning in Wenling, in east China’s Zhejiang Province. 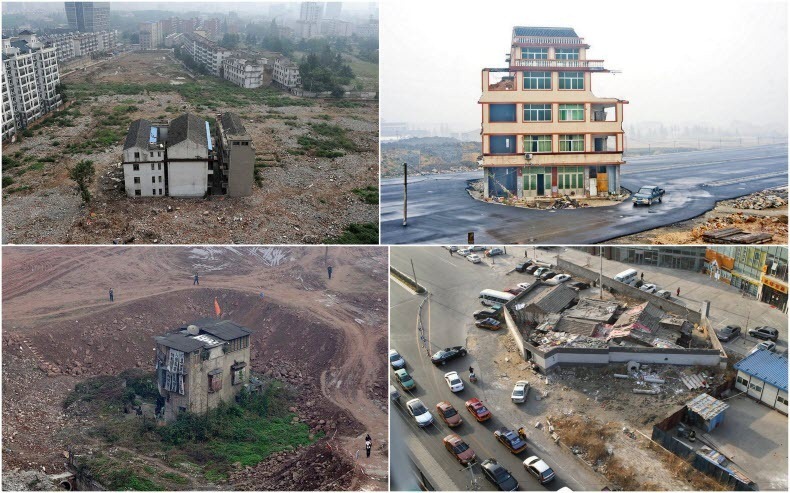 The bizarre scene which had achieved notoriety after pictures were posted online, finally disappeared as its owner, Luo Baogen, signed a demolition agreement with the local government on Friday and accepted the compensation of 260,000 yuan (£26,000). The razing comes just a week after images of the house circulated widely online triggering a flurry of domestic and foreign media reports. This is a list of international and colonial world’s fairs, as well as a list of national exhibitions, a comprehensive chronological list of world’s fairs (with notable permanent buildings built). For an annotated list of all world’s fairs sanctioned by the Bureau International des Expositions (BIE), see List of world expositions. 1798 – Paris, France – L’Exposition publique des produits de l’industrie française, Paris, 1798. This was the first public industrial exposition in France although earlier in 1798 the Marquis d’Avèze had held a private exposition of handicrafts and manufactured goods at the Maison d’Orsay in the Rue de Varenne and it was this that suggested the idea of a public exposition to François de Neufchâteau, Minister of the Interior for the French Republic. 1829 – Turin, Piedmont-Sardinia – Prima Triennale Pubblica Esposizione dell’anno 1829. In Turin, a second ‘triennale’ followed in 1832 before other national agricultural, industrial, commercial, and applied arts expositions there in 1838, 1844, 1850 and 1858. 1838 – Turin, Piedmont-Sardinia – Pubblica esposizione dell’anno 1838. 1844 – Turin, Piedmont-Sardinia – Quarta Esposizione d’Industria et di Belle Arti. EIC Logs, Lists and facts. 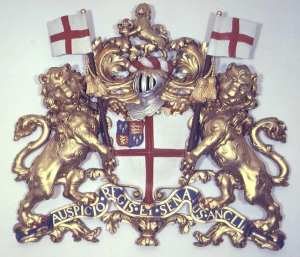 East India Company founded in 1602 by the Knights Templar. 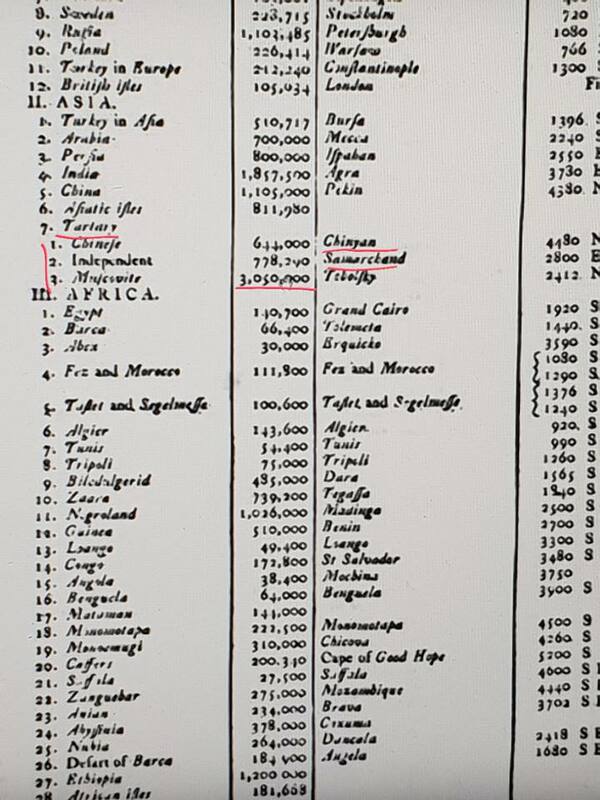 Their primary business the spice trade but I think they also dealt in the slave trade. Note: Researching New Zealand, it was visited in 1642 for exploration purposes but I think it was to map the region to see who lived there. Cook arrived again in 1769. Did he drop off slaves? or did the people, feeling sorry for the slaves, buy them and give them a place to live? Tartarian empire and its provinces and capitals are still present in geography books. The numbers in the middle column define territory in square miles. It outranks all countries and empires. Amazing surveyors they must have had. I snapped this from youtube channel Observation Deck. A little bit about Humbolt. He was hired by the Romanovs to re-map Siberia. Turn on translate on Chrome. He says they (Juice or people controlled by them) killed Christ and took over Constantinople, when the Tartarians heard about it they rampaged the petty kingdoms of the West who dared to to such a thing to their king. 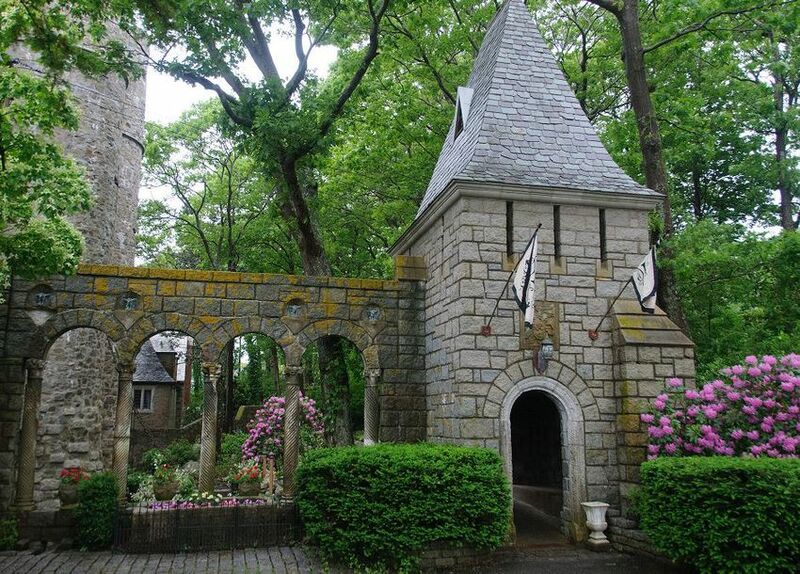 History: John Hays Hammond, Jr., a prolific American inventor, built this medieval-style castle between 1926 and 1929 to serve both as his home and a museum for his collection of Roman, medieval, and Renaissance art. 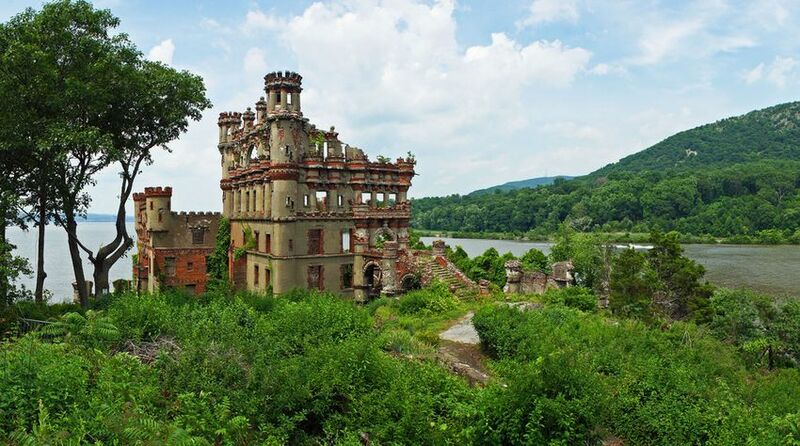 The castle is now a museum that displays the collection in addition to Hammond’s inventions. The building features a great hall, indoor courtyard, Renaissance dining room, library, and secret passageways. 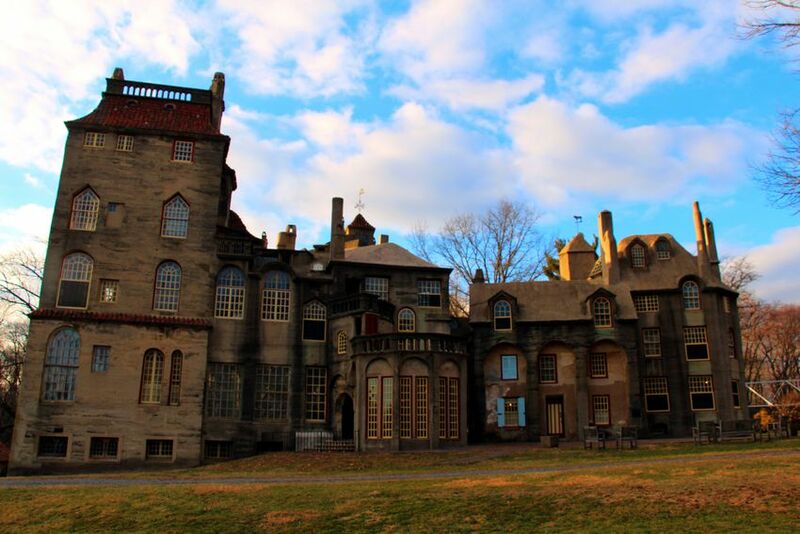 History: Henry Chapman Mercer, an Archaeologist, anthropologist, ceramist, scholar and antiquarian, built Fonthill Castle from 1908-1912 as a home and a museum for his collection of tiles and prints, mostly famously the Moravian tiles. 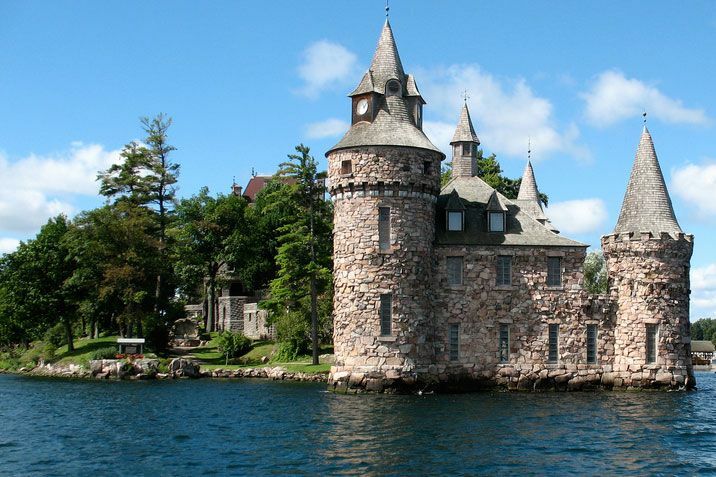 The castle is a mix of Medieval, Gothic and Byzantine architectural styles. It’s twin site, the Mercer Museum, also houses Mercer’s collection. 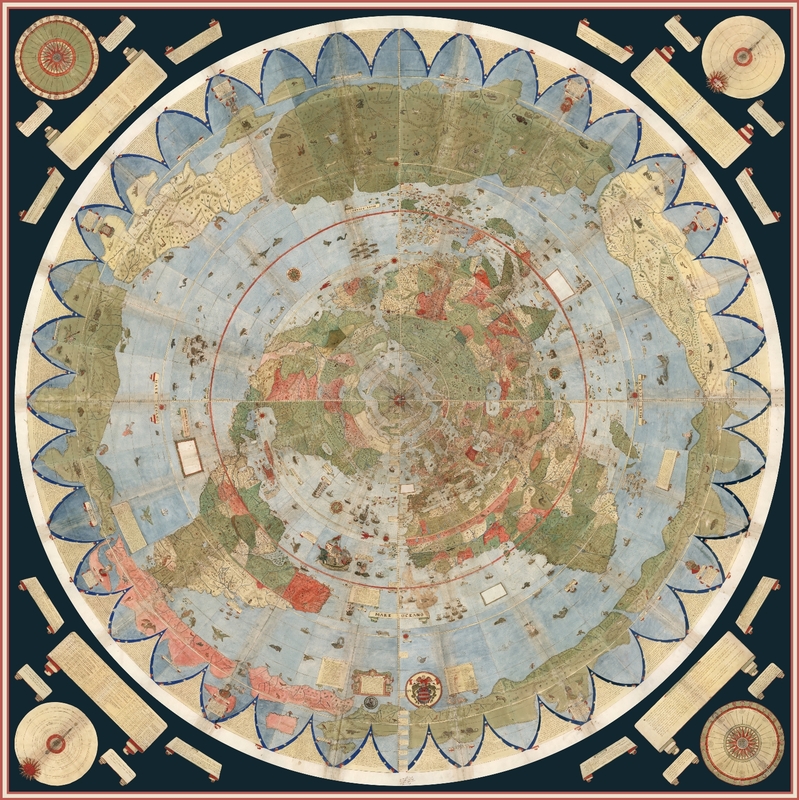 An extraordinary 60 sheet manuscript world map made in 1587 by Urbano Monte has been added to the David Rumsey Map Collection at Stanford University. At 10 foot square, this map or planisphere is the largest known early map of the world. It was hand drawn by Monte in Milan, Italy, and only one other manuscript copy exists. The digitally joined 60 sheet map image below is the first time the map Monte made has been seen as one unified map – as Monte intended – in the 430 years since it was created. See all the individual sheets here. Monte’s map reminds us of why historical maps are so important as primary resources: the north polar azimuthal projection of his planisphere uses the advanced scientific ideas of his time; the artistry in drawing and decorating the map embodies design at the highest level; and the view of the world then gives us a deep historical resource with the listing of places, the shape of spaces, and the commentary interwoven into the map. Science, art, and history all in one document. Until now, Monte’s manuscript map was seen as a series of 60 individual sheets. The only assembled version is the small single page key sheet of the series. Now that we have joined all 60 sheets digitally (accomplished with great skill by Brandon Rumsey), we can appreciate in a new way the extraordinary accomplishment that Monte made. The assembled map, just over 10 feet in diameter, is one of the largest—if not the largest—world maps made in the 16th century. The degree of detail and decoration is stunning and the entire production is surely unique in the history of cartographic representation. Have you ever heard of a cannon that has the power of 10 elephants, 400 bull and hundreds of people to pull. This is definitely surprised, but one such cannon is present in India. It is one of the largest guns in the world. The name of this cannon is the owner-E-Ground, which is located in the historic city bijapur of Karnataka. It is the largest cannon used in the medieval period, and is the largest cannon of the time. It has a weight of 55 tons, while length is 14.6 Feet (4.45 m), the outer diameter is 4.9 Feet (1.5 m). It was established in the 16th century by the ruler of bijapur, the ruler of bijapur, after the victory of the talaikot war. This cannon still exists on the tower named Burj-E-Sharif in bijapur. Burj-E-Sharif means the tower of lions. The Tower was built during the Adil Shahi Sultanate. This Cannon has been made on this cannon as if the lion has opened his big hand. The records on this cannon show that the cannon is found. 1) it was built by Mohammad the son of a Turk Hassan Rumi. 3) in the third record, Aurangzeb wrote that I have taken the owner-E-ground in my possession. A book by Captain Taylor and James Ferguson was published in 1886 in 1886, a book by Captain Taylor and James Ferguson was published It was written that the owner-E-field is the world’s largest cannon. Characteristic of this cannon is that it remains cool even in the heat of the sun. Malik-e-Maidan or ‘Lord of the Battlefield’, which is a huge cannon set up by Muhammad Adil Shah I in 1549 on the top of Sherzah Burj in Bijapur. It faces towards the west at the plains outside the city of Bijapur. 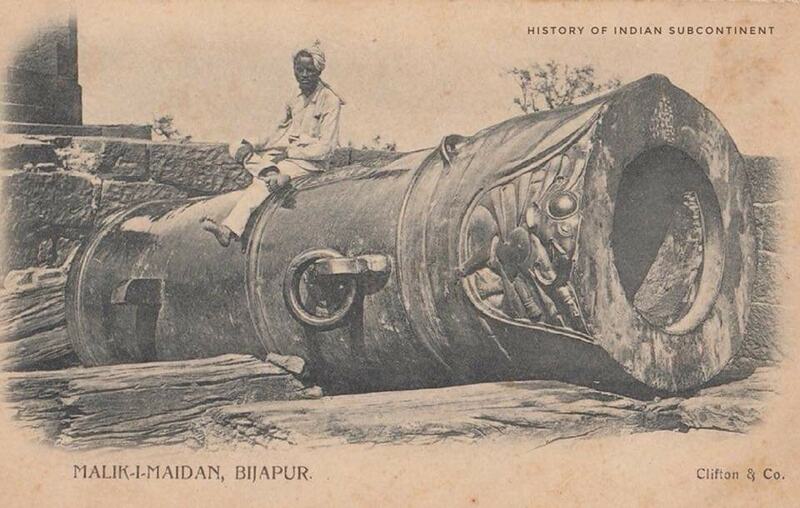 Located 3 km from the district of Bijapur, this cannon is believed to be the largest warhead of the medieval era. The nozzle of the weapon is designed into the shape of a lion with open jaws. There is a small elephant between the two large fangs of l a on being crushed to death. There is also an inscription made by Aurangzeb on the top of the cannon. This 55 tons heavy cannon has a diameter of 1.5 m and its length is 4.45 m. This legendary cannon has a unique feature that is even in the blazing sun it remains cool.It is believed that the legendary cannon always remains cool and tinkles like a bell on tapping. On top of the cannon is present an inscription commissioned by Aurangzeb.